Finally we are able to enjoy the fresh autumn air! 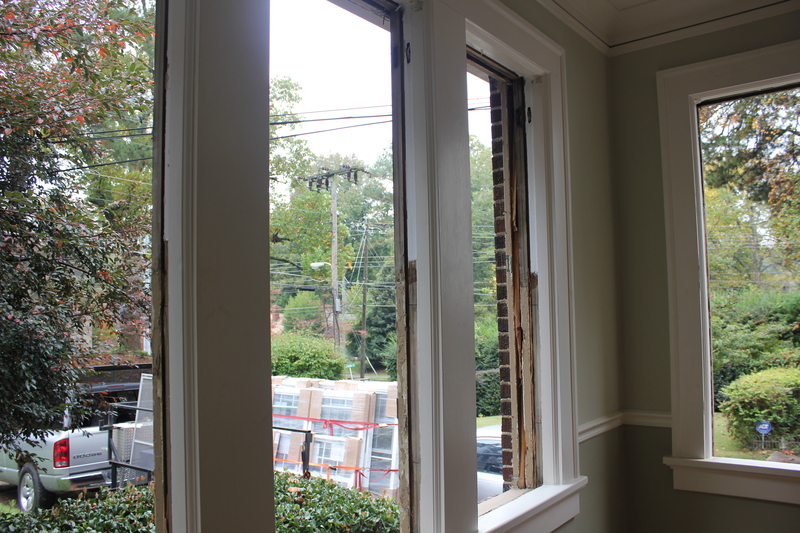 We decided to take on a new house project…replacing all of the windows in our house. This one would be different from past house projects since we decided to hire people to complete the project instead of having handy Eric do the job. As much as he wanted to do it himself, we decided that with our busy schedules, it would never get done if we did it ourselves. Once I got over the initial price shock of how much replacing all 18 windows would cost (I had no idea quality windows are so pricey), we began doing our research. We ended up going with home depot after hearing recommendations from friends and pricing out other companies. Home depot had good prices, experienced workers, and an awesome warranty. 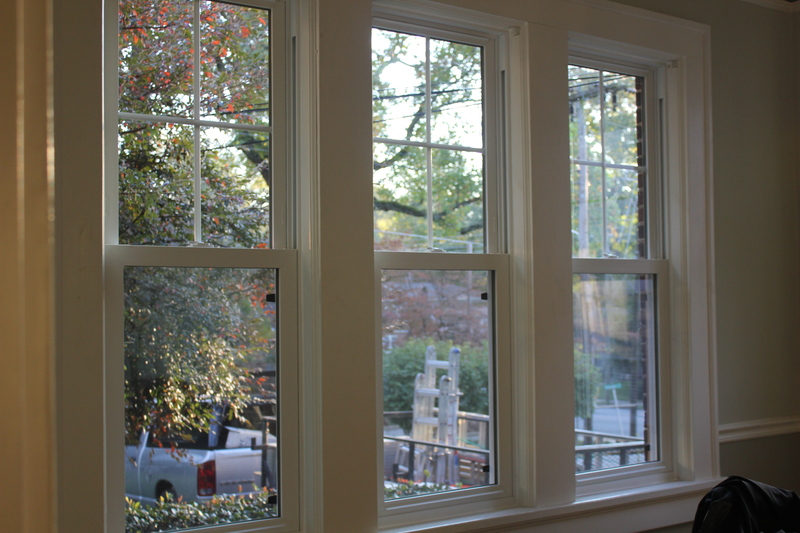 Plus after working with them, I would recommend them to anyone looking for windows installation! 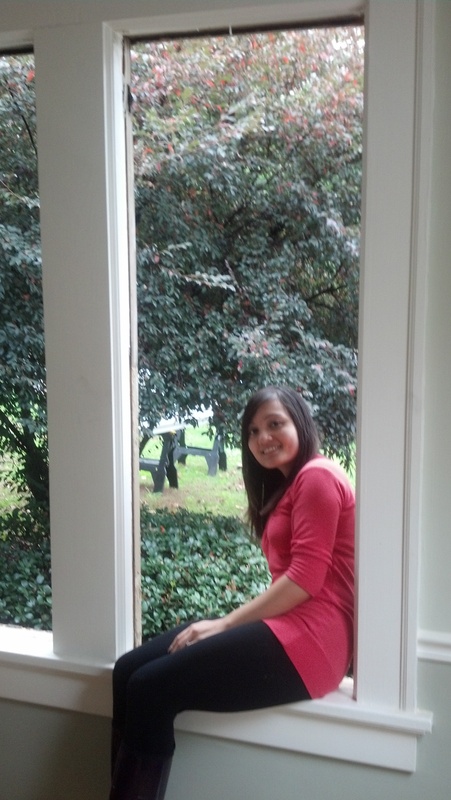 Our house was built in the 1920s and I am convinced the windows were almost as old as the house. They we single-pane meaning I could hear everything outside, not well-insulated so we could feel the hot air in the summer and the cooler air at night was creeping inside, and lastly the windows were painted shut so there was no way to even open the windows! 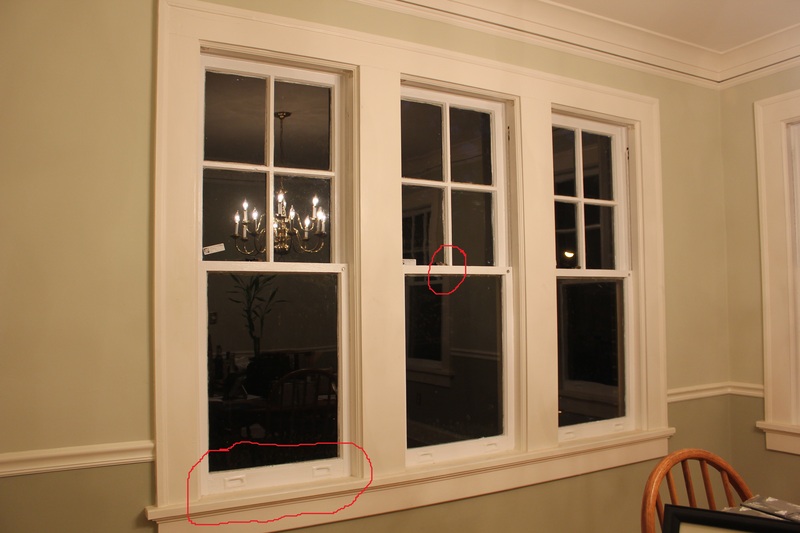 The area circled on the left window highlights the fact that they were painted shut along the edges. 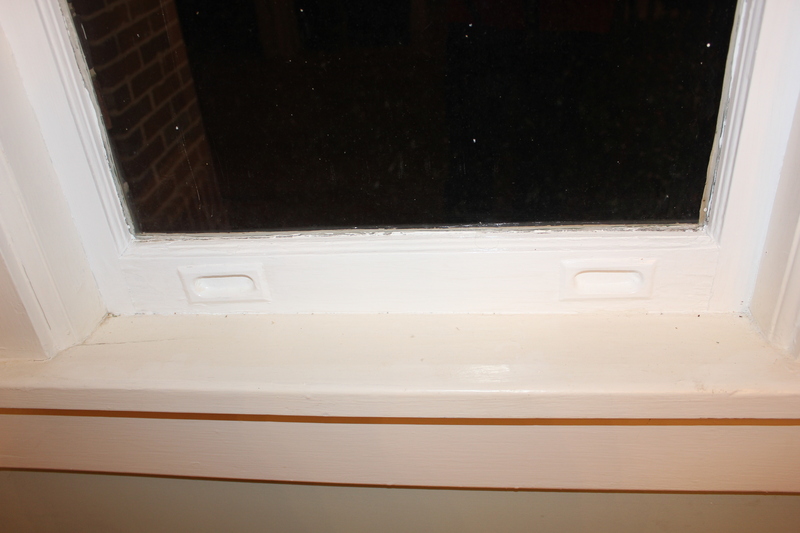 The middle window circle is to show that there is a weird lock on the window that requires a cylinder key. Basically another barrier to opening the windows. 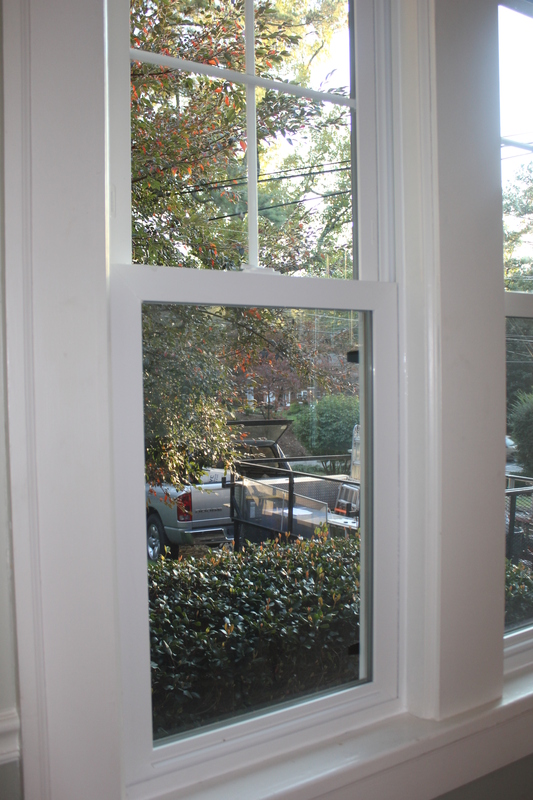 Our new windows open easily, are all screened, and the outside even matches our house color trim! 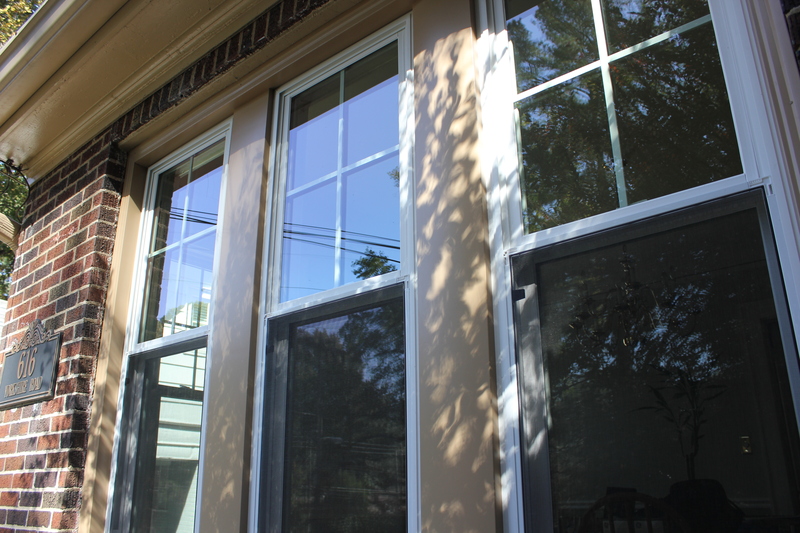 We decided on getting double-pane windows with argon gas in between making them energy-efficient (and eligible for energy cost credits). It will be worth the extra costs in the long run! So, after 2 days of construction (and a lot of banging noise), we now have beautiful windows! Maybe we need a bigger vehicle? Eric came up with a new house project that we (and by we I mean mostly Eric) will be tackling over the next few weeks…insulating below the floors! Apparently this will help keep the floors cooler in the summer but more importantly warmer in the winter. 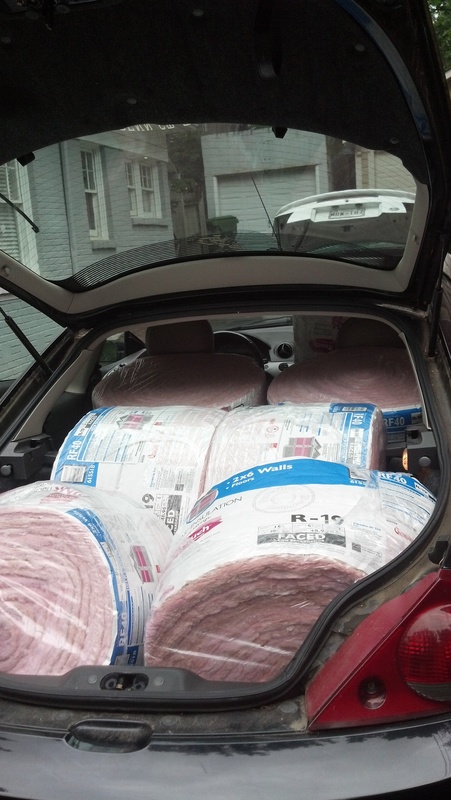 After mapping out the house, he determined we needed 24 rolls of insulation that we could get from home depot. We decided to see how big these rolls are since we would have to pick them up to avoid crazy shipping costs. 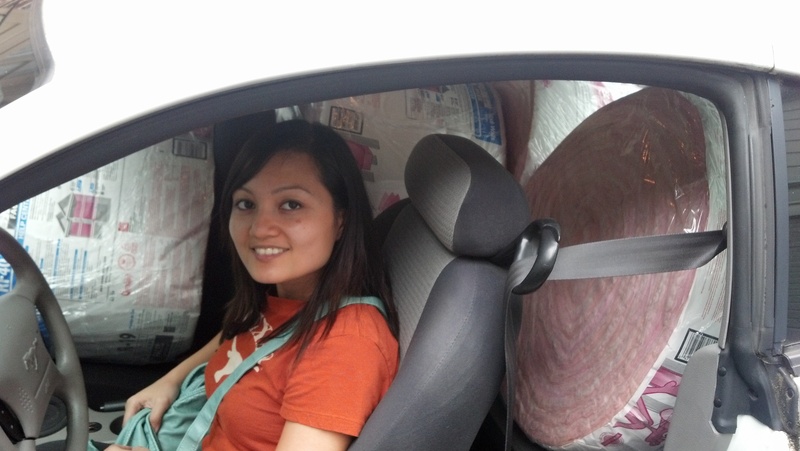 Insulation rolls are HUGE and there was no way we could fit 24 in both of our cars. Let me start by saying that Eric and I both drive fairly small 2-door vehicles. We’re lucky to have great working cars that we both really like. While they’re fun to drive around and maneuver well, our cars were not meant to carry any loads or haul anything more than 2 passengers. 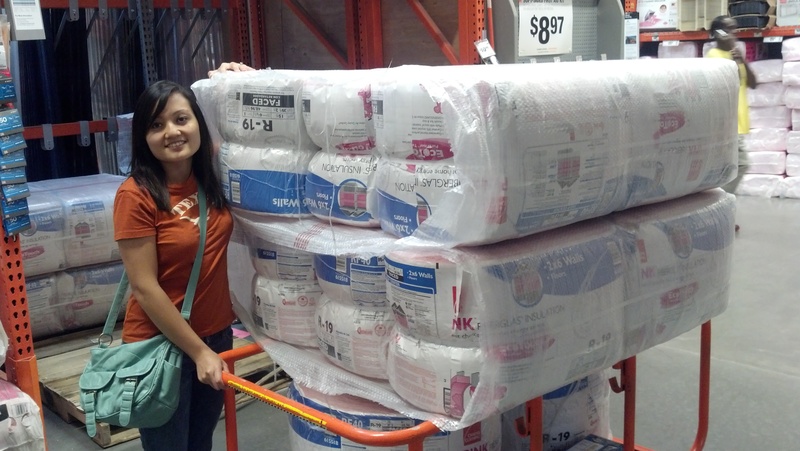 We recalculated our measurements and prioritized an area to start with bring our insulation count down to just 14 rolls. Eric said this would be manageable for our cars. We proceeded to push our cart to the parking and lot and began the puzzle of fitting everything in the cars. 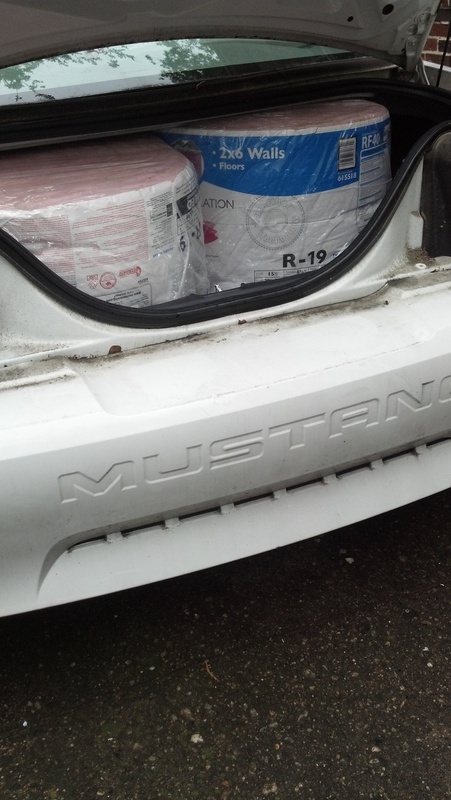 So my car got a whopping 2 rolls in the trunk! LOL actually I’m surprised more than 1 was able to fit there. I squeezed 3 on the passenger side and one right behind me. So 6 rolls total in my car. Luckily the seats in Eric’s car fall flat so he could fit the remaining 8 rolls. I was impressed! We fit all 14 with not a single inch of space to spare. 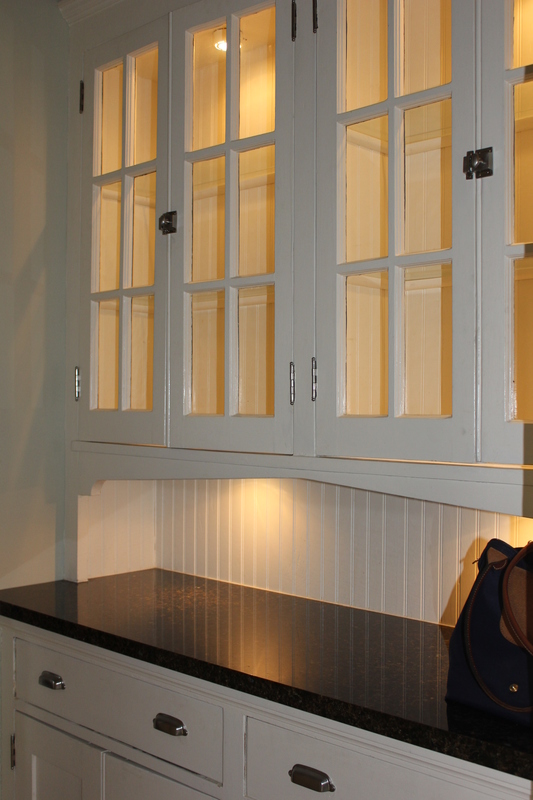 One of my favorite parts of the house is the cute little butler’s pantry right outside of the kitchen. The owner recently added it to the house and I loved it as soon as we walked in. 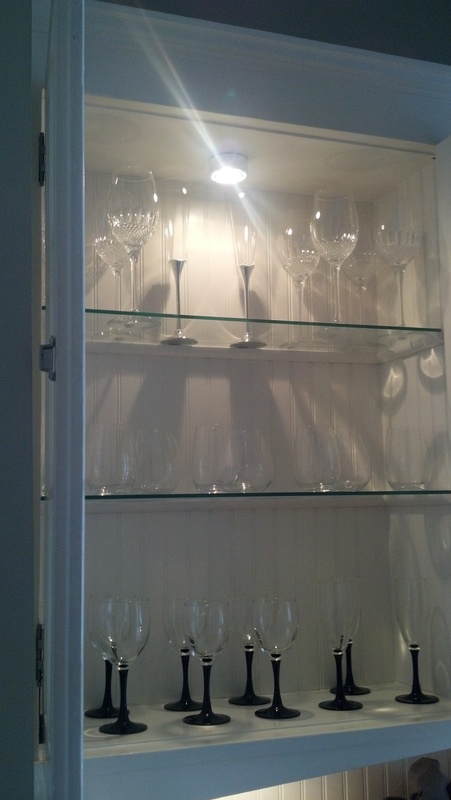 So after I finished cleaning the kitchen, my next job was to clean the butler’s pantry, clean our wine glasses and crystal, and then add it all to the display. I even found Eric’s glass whiskey set he purchased in Murano when he came to visit me in Italy. Most of these were kept boxed as we moved from place to place or they were wedding gifts. I’m so happy that we can finally take them out to display (and maybe even use) them. I even have room on the bottom for more! There is a reason I named this post FIRST kitchen cleaned. Our new house has, not 1, but 2 kitchens! In the converted attic space, they made an “in-law suite” area with a small additional kitchen. This is great if I ever have overflowing amounts of food but not so great for cleaning purposes. While Eric was working on other projects in the house, I decided to spend the day cleaning out the main kitchen cabinets, refrigerator, and butler’s pantry area. 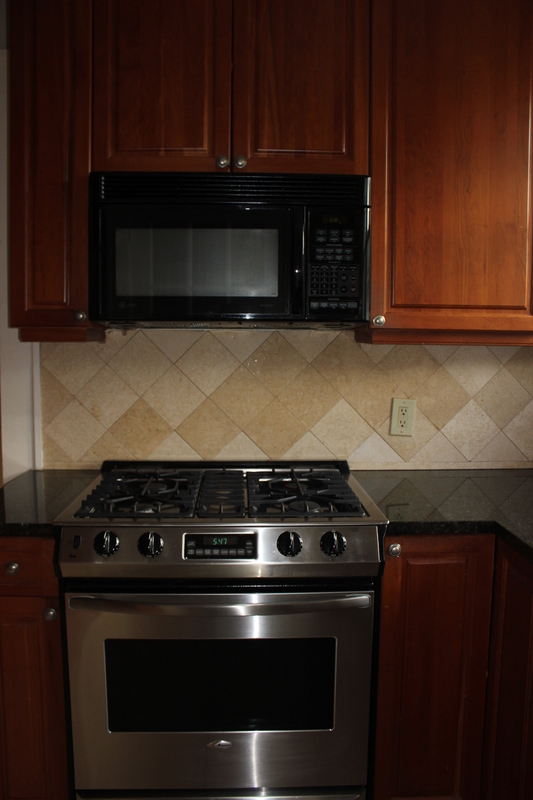 I am very happy that the owner purchased great, new appliances and left them in the house. 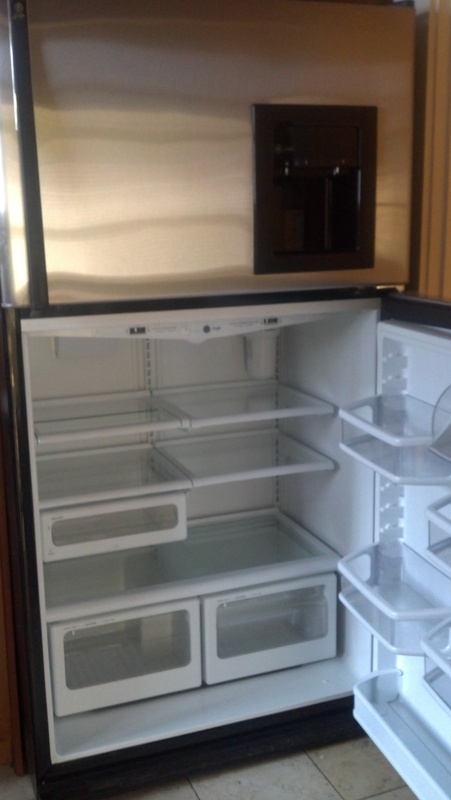 This includes the massive refrigerator. I really didn’t anticipate this being a whole day activity but I guess that was just me being a naive new home owner. 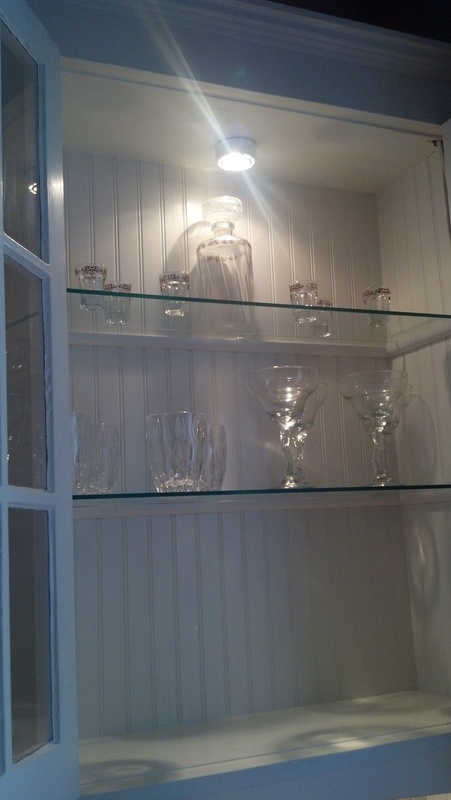 It took forever to get through each shelf of the refrigerator, then tackle all of the cabinets (some which I had to use a ladder to reach), and then the glass display of the butler’s pantry. I considered taking a break and continuing on another day but then I remembered I still have another kitchen in the attic to clean, and then my current kitchen needs to be cleaned before we move out. So I decided to push through and finished! As exhausting as that was, I am happy to have one thing done on the checklist. I also learned several things that day. 2. SOME natural cleaning products work. 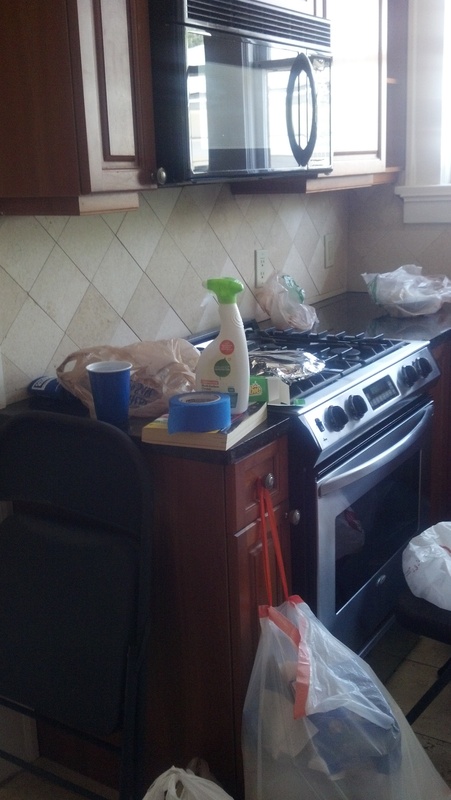 (I tried using natural cleaning products since it is a food area and I want to avoid too many chemicals). There are definitely brands that work, and others that do not! Whole foods eco scale green products did the job. Luckily we had a supply of these products given to us so I’m not sure what the cost would have been. You can also make your own but I haven’t figured out how to avoid the sour vinegar smell of homemade products. We did it! It has been a crazy week or 2 but definitely for good reason. We are officially homeowners, or as I like to put it…mortgage owners. 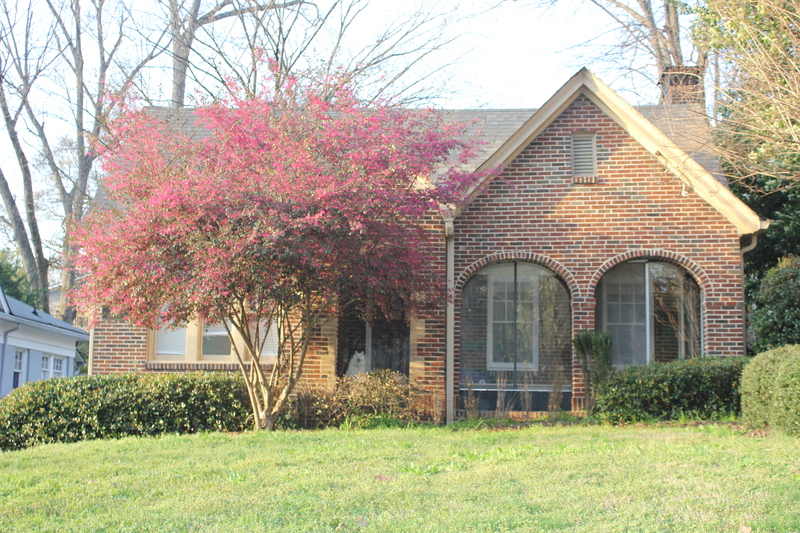 After the original house search I mentioned in earlier posts, we finally found one and made it through the whole contract process and eventually to closing day last Monday. It is in a neighborhood of Atlanta that we absolutely love and it is close to our jobs. Eric is so excited to be close enough to bike to work and I love that we can walk to some great restaurant, bars, and even Piedmont Park. 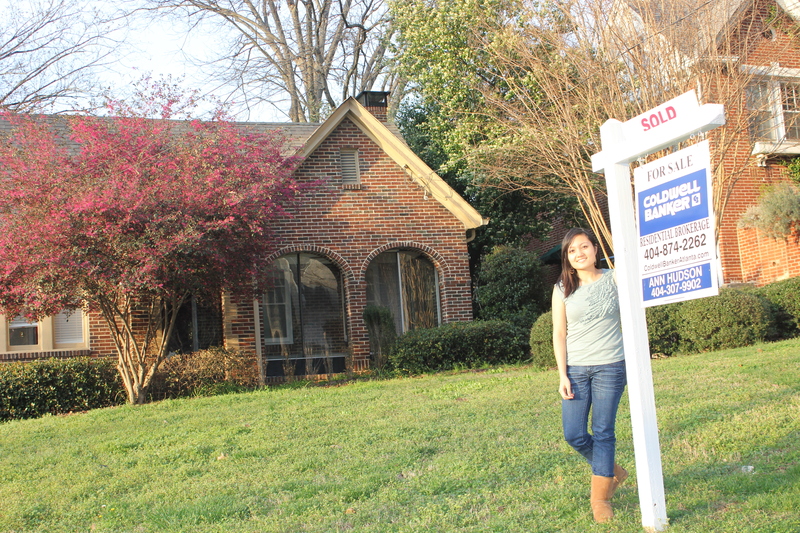 When the agents told me the finally put the “sold” sign up, we immediately rushed over to take our pictures. As we approach closing day, we decided it was time to slowly start packing. But before we can even pack, we need to go through and get rid of anything that we no longer need/use. It’s amazing how much stuff you can accumulate over time. We have moved several time, usually in a short period of time, so we have never really gone through our things. 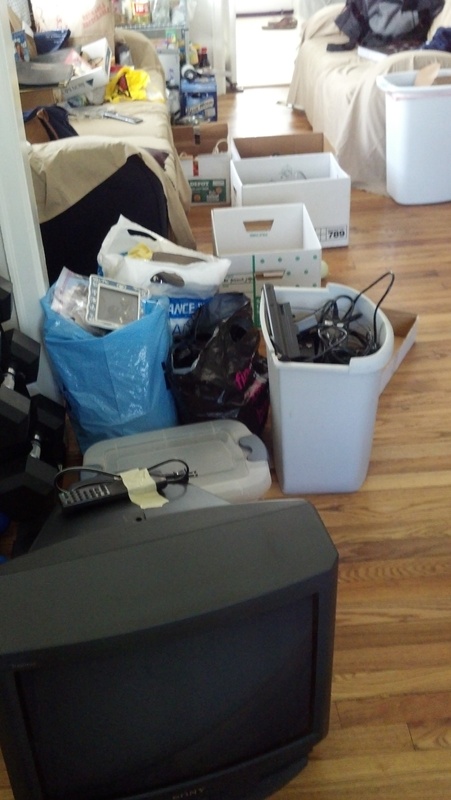 We just threw it all in a box and have been moving our junk from place to place. Basically we have items that have been with us in MD, NJ, PA, and all over Atlanta. Well, no more! I really don’t have an excuse so today was the first day of sorting through all of the junk! It was kinda fun going through old things. Eric still had things from college and I found many of those little items I thought I lost. A few of the boxes contained electronics. We had different generations of computer accessories and it was neat to see the progression of technology over the past few years. 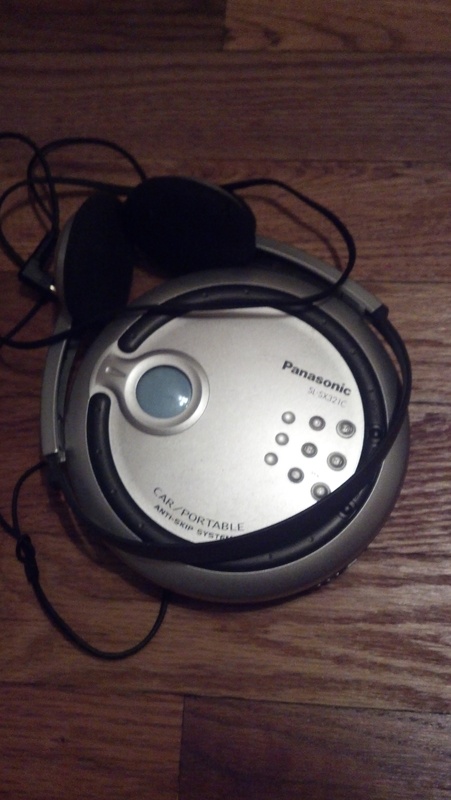 I even found my old portable CD player, with an old mix CD in it! Awesome. Another thing t0 note is the amount of pens and pencils all over the house. I was convinced we didn’t own any pens since I never seem to have a pen available when I need one. But today I realized we in fact own many pens! 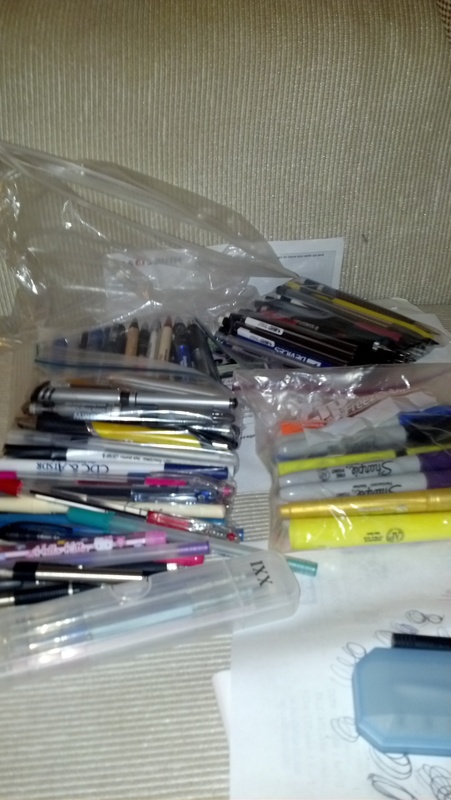 I actually sat and organized the pens, pencils, and markers into separate bags throwing out all the useless old ones.